Last year, LCD Soundsystem released their very good comeback album, American Dream. Today, its opening track, “Oh Baby,” gets a music video, which was directed by Rian Johnson, who most recently helmed a little-known movie called Star Wars: The Last Jedi. 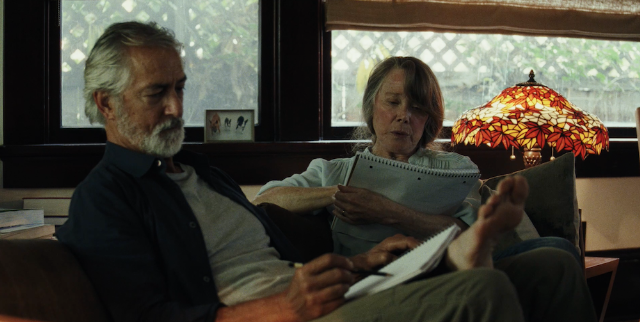 The video stars Sissy Spacek and David Strathairn — the actors also appeared together in the 1996 film Beyond The Call — as scientists who stumble on an invention that ends up coming in handy under tragic circumstances. Much of the video consists of them planning and moving and setting things up, and when the gut punch comes in it really takes you aback. “My goal would be that it works as a video for the song and the song works as a good soundtrack of the film. Rather than a video that serves the song,” the band’s James Murphy said of the video. For right now, the video is a TIDAL exclusive — if you’re a subscriber, you can watch it below. American Dream is out now via Columbia/DFA.